Although it tends to mark the beginning of colder and shorter days, September remains my favourite month of the year. This title is given for a variety of reasons: the weather is just about perfect in Vancouver when it’s not raining, it’s my birthday month (25 this year – gulp), and it somehow feels like a brand new start to me as well – even more so than January does. It’s also the optimal time for some good old “transitional dressing”, and this shirt dress is going to be ideal for layering well into the autumn months. Here’s to a great September! You look so cute, Jen! 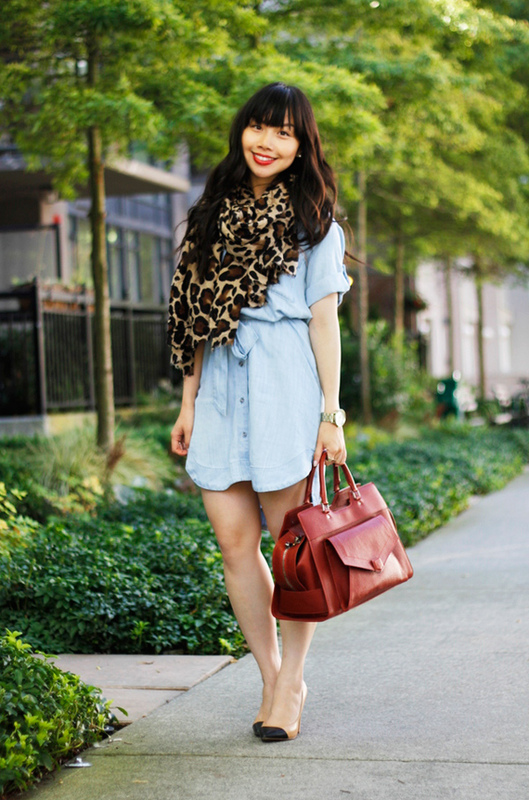 I love the shirt dress with the oversized scarf! Such a great transitional outfit! And yay, birthday month! Don’t fret one bit about 25! Still a youngin’! 😉 xo. 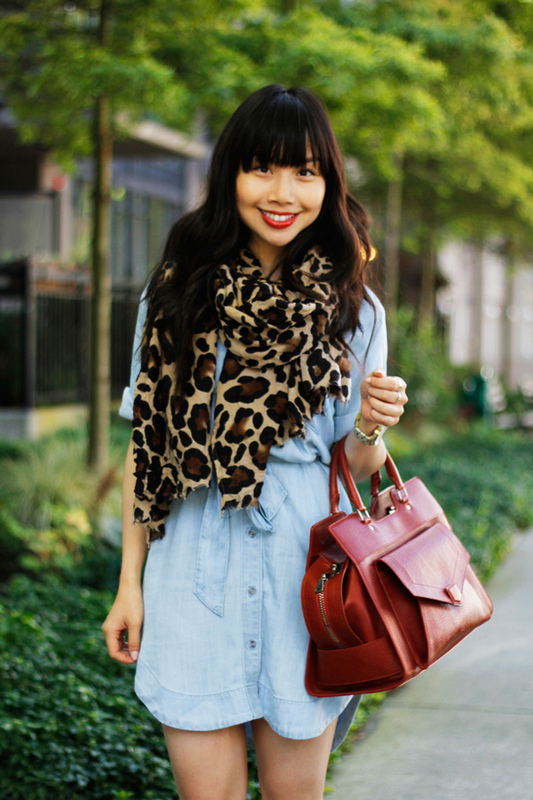 The leopard scarf is such a fun addition to the look! September’s my favourite month of the year too, for many of the same reasons you listed. Such a nice and simple look. 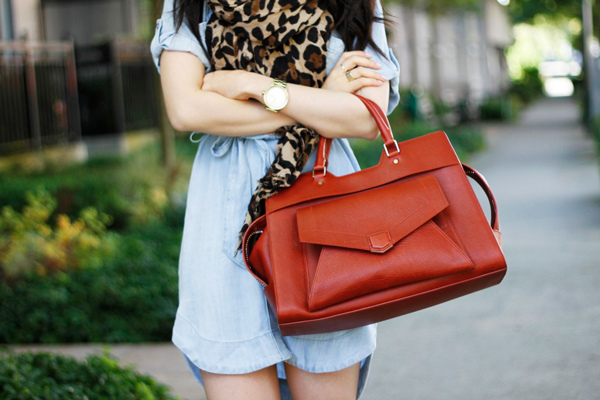 That bag is to die for! 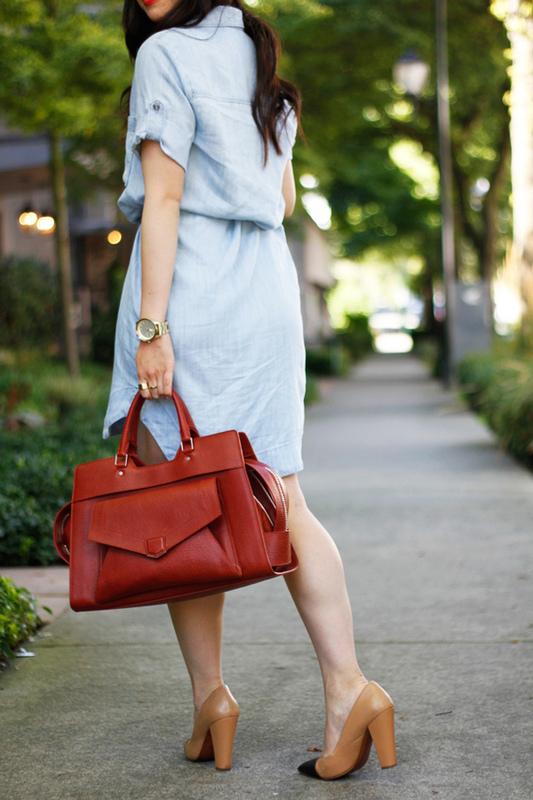 love that shirtdress, so cute and easy to throw on! I love this shirtdress. So perfect for late summer and a great transitional piece for fall. Love the shirtdress. Looks great on you! Love the dress! I’ve been eying up a shirt dress to add to my wardrobe and I think you’ve convinced me to get it! Perfect example of effortlessy chic, again! 🙂 Love how a leopard scarf can add so much to an outfit. The shirtdress looks great on you! 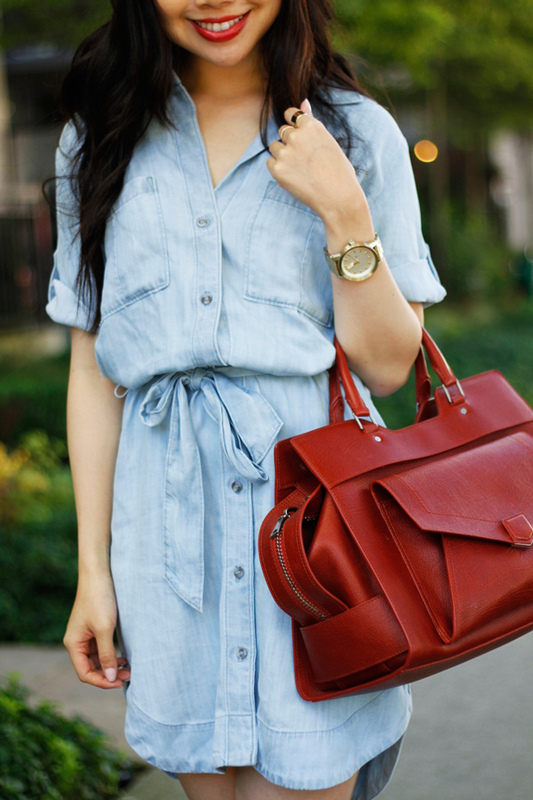 Love the look of chambray paired with a deep red!